When you let us do carpentry work at your Raleigh home, the final result will be exactly as you imagined and more. Here at Pre-Rite Painting, we want your home to look and function its absolute best! This is why, in addition to our exceptional painting services, we offer carpentry services backed by quality workmanship and an incredible dedication to customer service. Before we do any painting work at your home, we will fully inspect the work area and provide a detailed estimate of any carpentry repairs needed prior to painting. Interior trim installation, including crown molding, chair railings, baseboards, wainscoting, closet shelves, and built-ins. Since 2001, our mission has been to exceed the expectations of our customers in Raleigh, North Carolina with our painting, carpentry, and other services. Our carpenters are skilled craftsman who focus on stunning design and quality workmanship while meeting client specifications with exactness. When you let us do carpentry work at your home, the final result will be exactly as you imagined and more. We know there are plenty of carpenters for you to choose from, but with us, you are guaranteed exceptional results, quality workmanship, and a positive experience from beginning to end. If you want to know more about our carpentry services, or if you would like to request a project estimate, please don’t hesitate to contact us at Prep-Rite Painting. 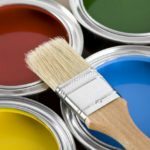 At Prep-Rite Painting, we offer carpentry services in Apex, Cary, Holly Springs, Fuquay Varina, Chapel Hill, and Raleigh North Carolina.